In February, I published an article in the International Marxist-Humanist reporting that the political scene was horrible in Brazil. Five months ago, I had in my mind how fascism was growing quickly under the hegemony of identity politics, especially with social movements’ fragmentation, and the increase of anti-communist thought, with slanders against Marx as totalitarian, Eurocentric and colonial. I said that all of this, in addition to the legacy of almost 15 years of Workers’ Party government that ended via an institutional coup d’état in 2016, was leading to the destruction – ideological and material – of the left. 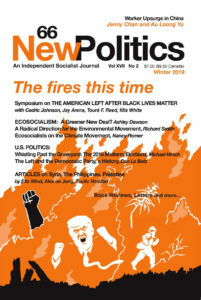 What’s Left of the Brazilian Left? On 14 March, Marielle Franco, a city councillor in Rio de Janeiro, Brazil, of the Socialism and Freedom Party, was assassinated. In a piece originally published on the website of the Brazilian New Socialist Organisation (NOS) and republished here from the website Esquerda Online, Giambatista Brito argues that her death marked a new low in the country’s descent into political repression following the coup d’état of 2015. Translation by Max Leak. 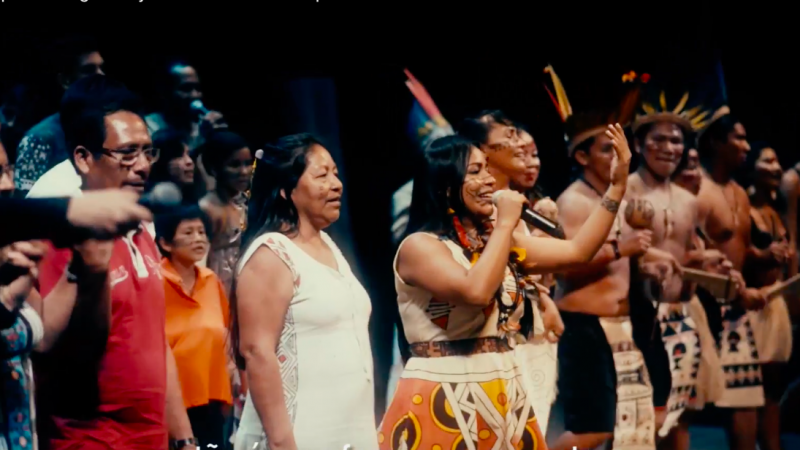 On 23 August, Djuena Tikuna  became the first indigenous singer to perform on the stage of the Teatro Amazonas  (“Amazonas Theatre”) — a bastion of European culture in the middle of the world’s largest tropical forest. If you’ve seen any of the documentaries that are critical of U.S. agriculture, then you’re most likely aware of the increase in some innovative and somewhat unconventional experiments in growing food—bee hives and gardens on hospital roof tops, abandoned warehouses turned into greenhouses, farms that double as a local community’s source of fresh produce and the pizzeria. In general, analyses of Brazil’s current political and economic crisis emphasize the economic policy “errors” of the government, inherited by President Dilma Rousseff of the Workers’ Party (PT) from her predecessor, Luíz Inácio Lula da Silva. While it is true that certain federal policy decisions have interfered with the dynamics of the Brazilian distributive conflict, this focus on political regulation is far too narrow to illuminate the complexity of the current crisis. These explanations tend to obscure the changes in class structure that took place during the Lula era (2002-2010), and to overlook the impact of the international economic crisis. Indeed, such analyses fail to explain how the relationship between political regulation and economic accumulation not only failed to pacify class conflict but radicalized it. Brazil’s Dance with the Devil: The World Cup, the Olympics, and the Fight for Democracy. By Dave Zirin. Updated Olympics edition. Haymarket Books, 2016. 238pp. + notes and index. $17.95 paperback. I celebrated with great relief back on October 2, 2009, when my hometown Chicago was the first city eliminated by the International Olympic Committee from consideration for hosting the 2016 games. The scale of the pillage, cronyism and social cleansing that “Mayor One Percent” Rahm Emanuel would have inflicted in the name of preparing for the party was horrible to contemplate. And I wasn’t wrong, as reporter David Haugh has shown in his piece of bidder‘s remorse, “In retrospect, losing 2016 Olympics to Rio a big victory for Chicago” (http://www.chicagotribune.com/sports/columnists/ct-haugh-olympics-spt-0803-20160802-column.html). Let’s call a spade a spade. What has just happened in Brazil, with the dismissal of the elected president, Dilma Rousseff, is a coup. A coup which is pseudo-legal, “constitutional”, “institutional”, parliamentary, anything you want, but a coup all the same. Luiz Bernardo Pericás, Caio Prado Júnior uma biografia política. Sao Paulo, 2016. 484 pp. Photos. Illustrations. Acronyms. Chonology. Notes. Bibliography. Index. Available only in Portuguese at this time. Pericás’ Caio Prado is a well researched, well documented biography of Caio Prado, the renowned and important Brazilian historian. This biography is distinguished by the author’s concern to present Prado not only as a Marxist intellectual but also as a member of the Brazilian Communist Party (PCB) and a committed political activist–and to show the relationship between the two. The author argues that Prado’s politics were integral to his work as a historian. Brazil’s president, Dilma Rousseff of the Workers Party (PT) will very likely be impeached today, leading to her immediate, temporary removal from office and to a trial that could remove her permanently. Waldir Maranhao, the acting speaker of the lower house, had annulled the impeachment process just a couple of days ago, but then Renan Calheiros, the head of the Senate, said that he would proceed with the impeachment anyway, and it is going forward. This impeachment, which the left calls a kind of golpe de estado or coup d’état could be the end of Dilma’s presidency and the beginning of a new rightwing government that will impose greater austerity and do so by repressing the social movements. Teachers in the city of Rio de Janeiro, and in the state of the same name, have been on strike for more than two months now. More than a month ago students at one high school occupied their school in support. The student occupation spread to other schools and are there are now 76 schools occupied throughout the state of Rio de Janeiro and as many as twenty in other states to which the movement has spread. Students have been joined by parents and teachers and by volunteers from left political parties and individuals. I was invited to speak here in Rio de Janeiro by the Socialism and Freedom Party (Partido Socialismo e Liberdade, PSOL) and spoke last night to an enthusiastic and very well informed crowd of about 200 students at the university (UFRJ). I also sat down to talk with PSOL leaders and activists here about the local political situation and the social movements. So here are my impression, though they are just impressions of the political situation, of the teachers' strike, and of the school occupations. A still undetermined number of supporters, activists, and sympathizers of two Brazilian left-wing political parties, the Socialism and Freedom Party (PSOL, Partido Socialismo e Liberdade) and the Unified Socialist Workers’ Party (PSTU, Partido Socialista dos Trabalhadores Unificado), are being charged by the State Prosecutor's offices (Ministérios Públicos) of Rio de Janeiro and São Paulo for having made small donations to these two parties during the 2014 elections. One of the activists linked with PSOL, Lucas Mourão, being charged by the Electoral State Prosecutor's office (Ministério Público Eleitoral) of Rio de Janeiro, explained his case on his Facebook page on October 15. He says in 2014 he donated R$60 (about US$15) to the campaigns of Jean Willys and Tarcísio Mota, two PSOL candidates running for, respectively, Federal Deputy and Governor of Rio de Janeiro. Election day came lazily in Santarém, a mid-sized city and trading entrepôt at the junction of the Amazon and Tapajós rivers, the halfway point between Amazônia’s primary metropolises of Manaus and Belém. The internet was out of service in this sleepy Amazonian town, as were two out of the four major cellphone carriers, and the streets were nearly empty. Dilma Rousseff of the Workers Party (PT) won Brazil’s presidential election on October 26, meaning that when her term ends her party will have held the nation’s top office for a remarkable 16 years, longer than any party in Brazilian history. Dilma Rousseff of the Workers Party (PT) won Brazil’s presidential election on October 26, meaning that when her term ends her party will have held the nation’s top office for a remarkable sixteen years, longer than any party in Brazilian history. Rousseff began as part of an armed revolutionary guerrilla organization during the dictatorship from 1964-1985, then helped found the Democratic Workers Party (PDT), and only joined the PT in 2001. Once again the Workers’ Party (PT) found itself in the difficult position of having to defend its government’s sorry record on issues such as the economy, corruption and energy policies, all while fending off right-wing opposition candidates. Fortunately for the PT and its incumbent president and presidential candidate Dilma Rousseff, their adversaries at the national level never managed to assemble a political program that differentiated itself from the PT’s. A little more than year ago, Brazil was paralyzed by the enormous popular protests of the June Days of 2013 as, according to a highly regarded poling agency IBOPE, some 8.5 million people joined demonstrations in 400 cities and 22 state capitals, first against high transportation costs and then against just about everything else that had to do with government policies. IBOPE found that 72 percent of the population approved of the demonstraitons and that 89 percent had no faith in the political parties.